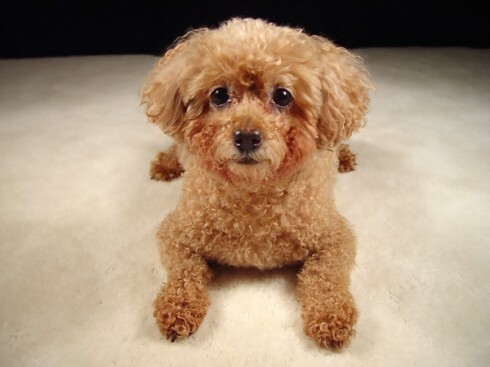 There are three sizes of Poodles--Standard, Miniature, and Toy. They are alike in every way except for size. 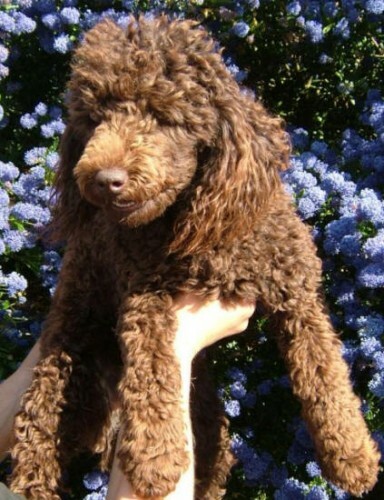 All Poodles originated from the Standard Poodle. 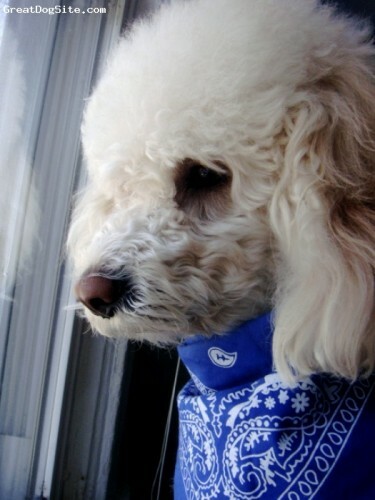 Poodles are smart, loyal, proud and fun. 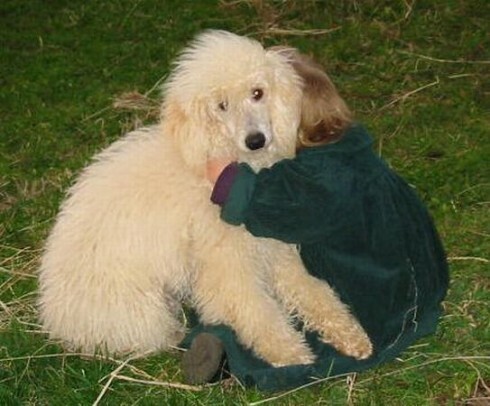 They seem to understand the moods of their special friends. 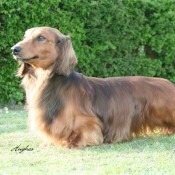 They enjoy the challenges of obedience training, which gives these intelligent dogs great happiness. Politely reserved around strangers, they can also have a playful sense of humour. 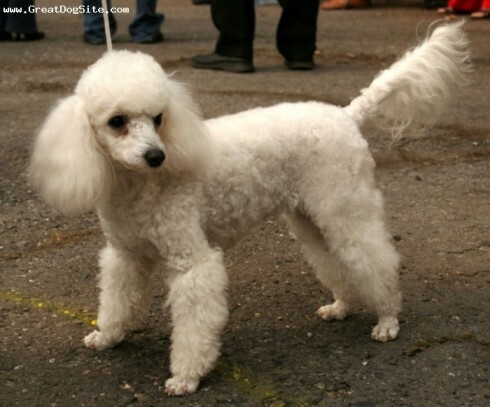 The Poodle is the national dog of France. 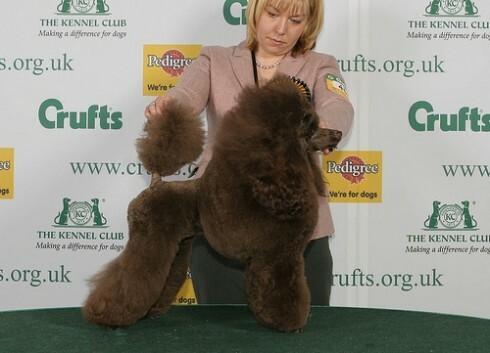 The Standard Poodle is the oldest of the three varieties. The words Standard, Miniature, and Toy are used to denote size only. 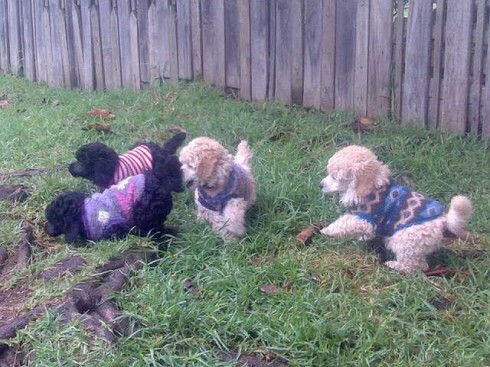 All of these are one breed. 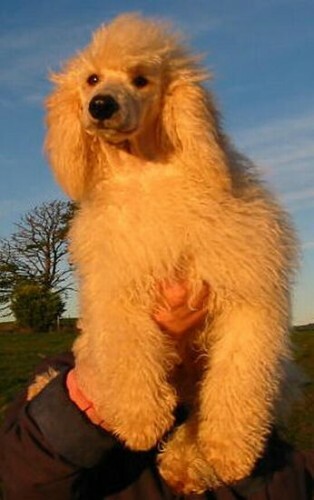 Poodles are known for their work retrieving capabilities in the water. 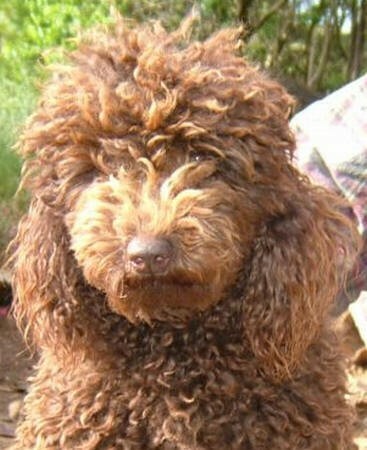 So you want to own a Poodle? 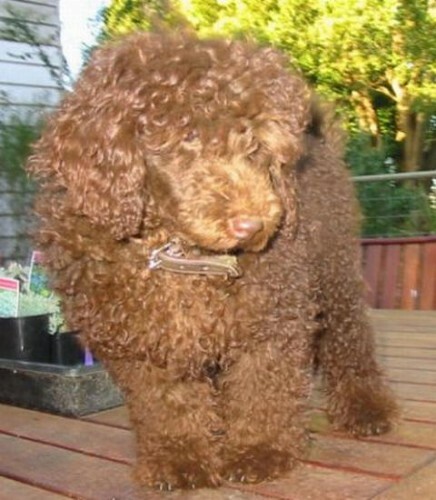 The Poodle's coat lends itself to a variety of hair styles. 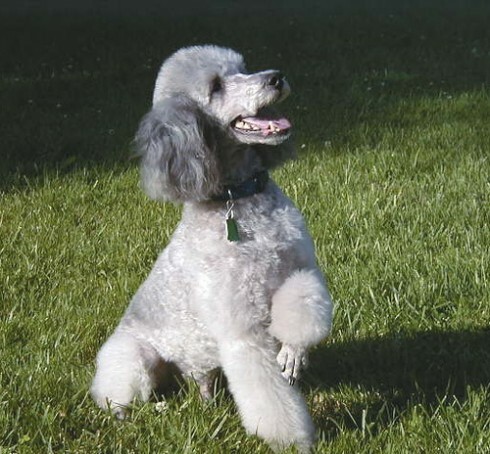 Most of which derive from their duties as a retriever where shorn to protect their joints in cold water. 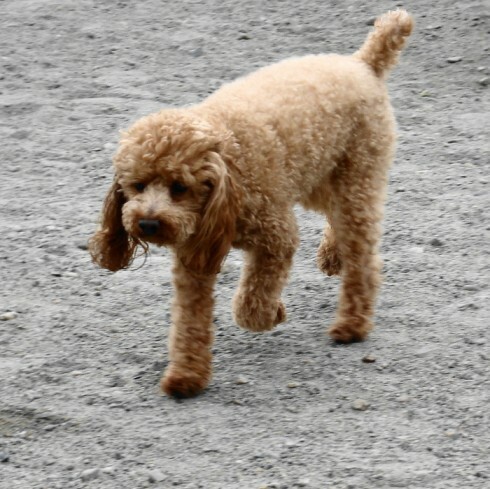 The Poodle is very active, intelligent, and elegant. Jaws strong with perfect, regular complete scissor bite, i.e. upper teeth closely overlapping lower teeth and set square to the jaws. A full set of 42 teeth is desirable. Customarily docked. Docked: Set on rather high, carried at slight angle away from the body, never curled or carried over back, thick at root. Undocked: Thick at root, set on rather high, carried away from the body and as straight as possible. lips, eye rims and toenails. Apricots and reds to have dark eyes with black points or deep amber eyes with liver points. Blacks, silvers and blues to have black nose, lips, eye rims and toenails. Creams, apricots, reds, browns, silvers and blues may show varying shades of the same colour up to 18 months. Clear colours preferred. 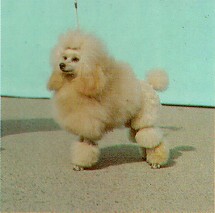 Poodles (Miniature): height at shoulder should be under 38 cms (15 ins) but not under 28 cms (11 ins). 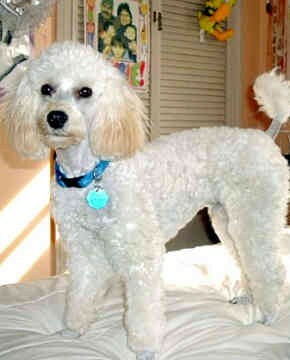 Poodles (Toy): height at shoulder should be under 28 cms (11 ins).